I can’t believe it is already July! Time sure has flown! I feel like it was yesterday that I was pregnant and we were just starting to realize what life would be like to 2 children. Then with the birth of Violet we had to make the normal adjustments and even more with her needs and illnesses that we faced. But here we are 3 years later, with a little girl who is amazing! God has certainly blessed me with 2 amazing daughters, Grace who has a heart for others. Who is so loving and tender, truly the best big sister to Violet ever imaginable! And of course Violet, the start – with a smile that will brighten any day and the most contagious giggle you will every hear. She has battled an ulcer around her feeding tube off and on for a while and Monday night when I went to change the bandage it was really bad and red and made me concerned, but I’ve seen it before so I knew what to do and decided I’d keep an eye on it, however I started to panic a little with the new symptoms, what if it was something more? What if it was infected? 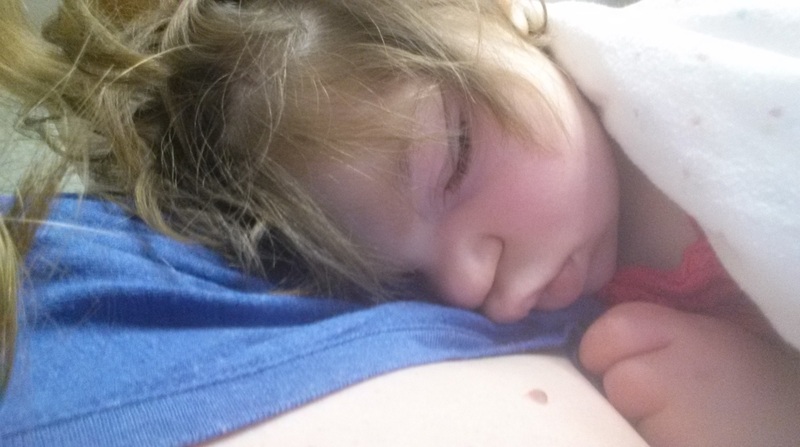 I contacted our pediatrician and our GI doctor and we decided we needed to head to the ER. All the testing could be done and the results back a lot faster than if we went to the On Call doctor. After sitting in the ER for nearly 5 hours, we had answers. Violet had a UTI. What?!? I know her UTI signs. I didn’t catch this one. But the good news? It’s treatable! Even better…it’s treatable at home! I am so grateful for the attentive, loving caregivers who know Violet’s signs just as much as I do. I can rest every day when she is at daycare knowing, they know what to do and what her change in behavior means. As time flies, I can’t believe the 5K is just around the corner! This was something my dear friend and I have been talking about putting together for over a year now. I can’t believe we are on the home stretch to get this done and ready! There are so many wonderful women on the team helping put everything together. Questions arise as to how to be helpful, we still need items for the silent auction as well as the team of volunteers that are needed to make the event a success. If you have the morning free but would prefer not to walk / run we need volunteers through out the course as well! There is limited time to order your tshirt with the registration so register early for the event! I feel so blessed to have a wonderful group of family, friends and strangers who love and support my little girl as much as I do. 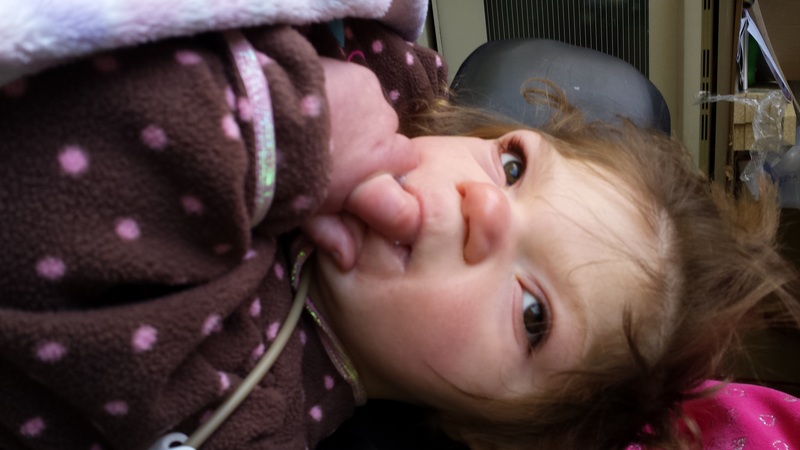 Many wonder what Violet needs help with and why we are doing the fundraiser. As many of you have seen Violet in the gait trainer that is definately a huge item on the list as well as transportation cost for traveling to appts and the van. Violet is also getting to big for her crib so I am going to be looking into getting her a special bed for special needs. I’ve heard insurance will assist in some of the cost of the bed. Those are the bigger items. Thank you all for your continued love and support of my sweet baby girl! “Thank you” never seems to be enough….